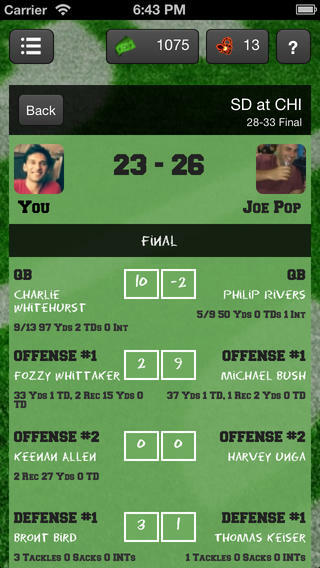 RotoPop iPhone App Review: Fun Fantasy Football! 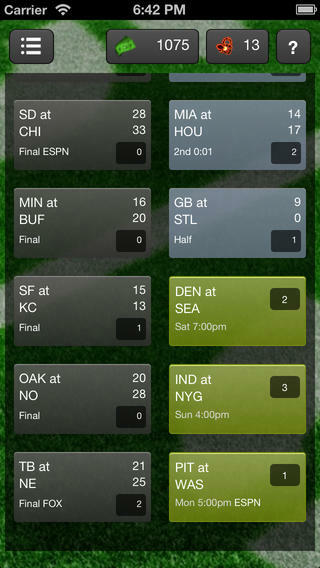 RotoPop is an iPhone app developed by RotoPop, Inc. 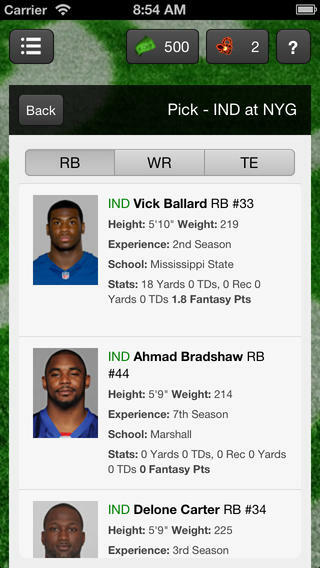 If you love fantasy football, this free app is an offering you should grab ASAP. 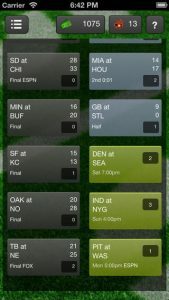 Whether you are new to the world of fantasy football or a long-time enthusiast, RotoPop provides you with a fun way to take your fandom to the next level. 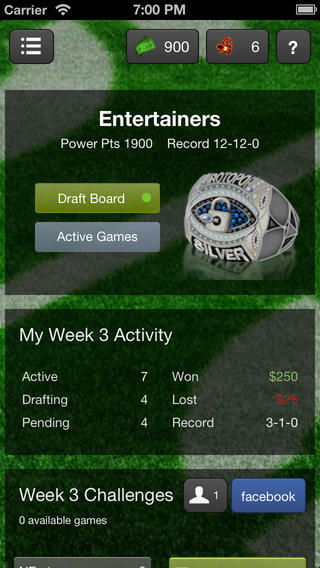 RotoPop may be a bit different from other fantasy football games you’ve played, however. That’s because you can challenge your opponents to a single game by drafting players from only that game. During each game, you can build up points and earn the right to crow over your friends. You can swap out players at halftime, which keeps thing interesting. 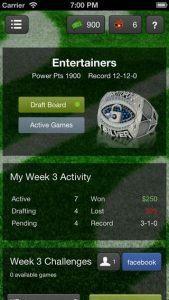 Unlike some other fantasy football set-ups you may have encountered, RotoPop runs on virtual currency, not real cash. The game has been designed for both iPhone and iPad. The app looks great on both, but I was particularly pleased with how well the interface was designed for on-the-go iPhone users. The most recent version of the app is 1.0.2. This version of RotoPop has several big improvements. These include the handy ability to send 3 “friendly nudges” to your opponent, ensuring that you can send plenty of reminders to get your friends to respond quickly and make their draft picks in a timely manner. 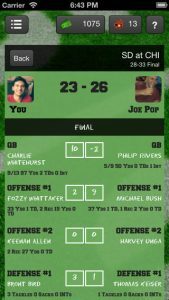 If you love fantasy football, but lack the attention span to keep up with your pursuits for a whole season, RotoPop is a more casual alternative that is definitely worth checking out! RotoPoprequires iOS 5.0 or later. Compatible with iPhone, iPad, and iPod touch. This app is optimized for iPhone 5. 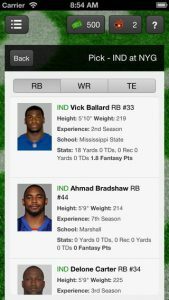 This app is also available for Android devices. Learn more on Google Play.